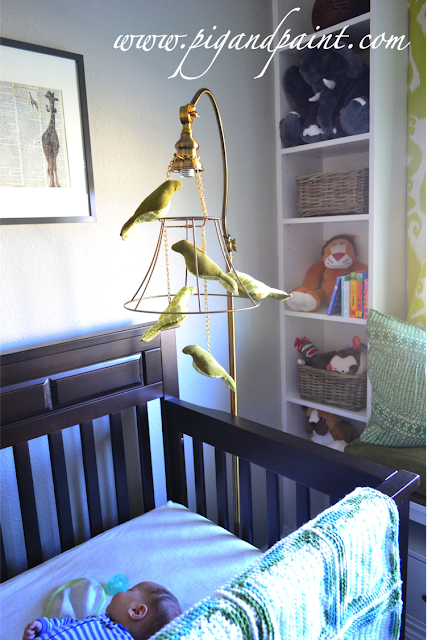 Another nursery project in the can! 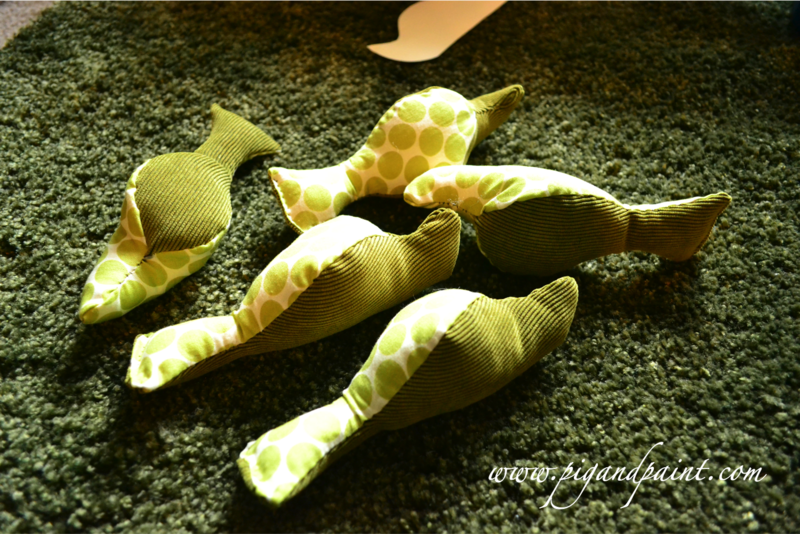 If you've been around this blog for awhile, you know that I am a bird person. My very first pet was a bird, and I had birds most of my life. We recently gave away our parrot, Lolly, when we found out that we were expecting, as she was not child-proof. Lolly is now living a happy life on a farm in Napa. I still miss that little squeaker, but I know it was the right decision for our family. With that said, I wanted to add a bird element to Samuel's nursery, to celebrate the 7 years Lolly was part of our family. 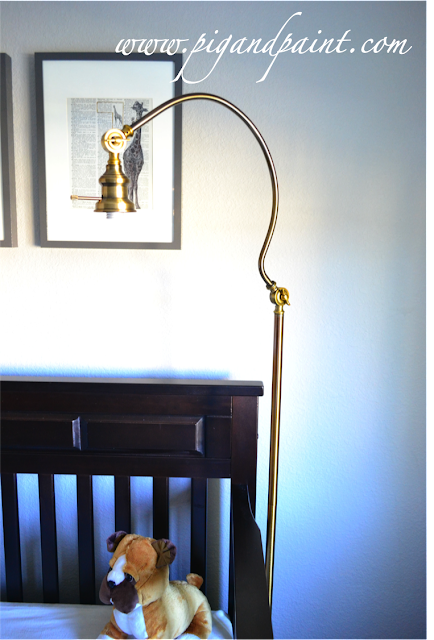 I also wanted to incorporate this gorgeous lamp into the room somehow. I bought it on clearance on TJ Maxx. I loved the bronzy finish and its curvaceousness. It didn't come with a shade (hence, the clearance status), but that was fine with me. I knew I'd use it somehow, someway. And that's when the idea hit: a mobile! 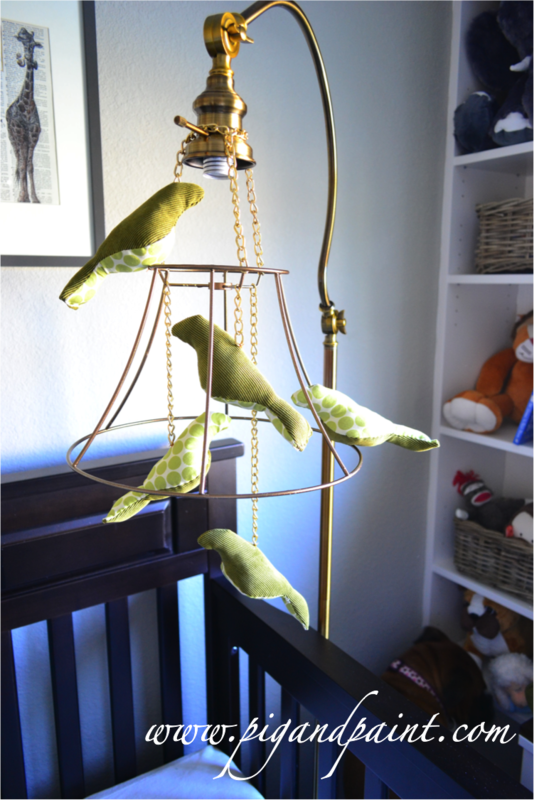 The shape of the lamp was perfectly suited to hang a mobile over the crib. 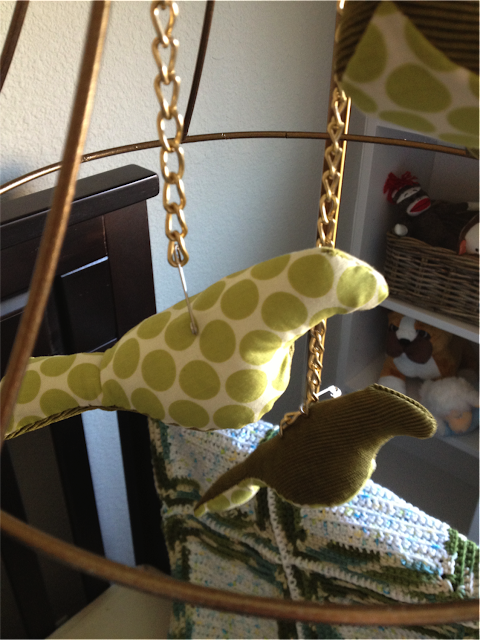 I found a free bird pattern online, and got to sewing. 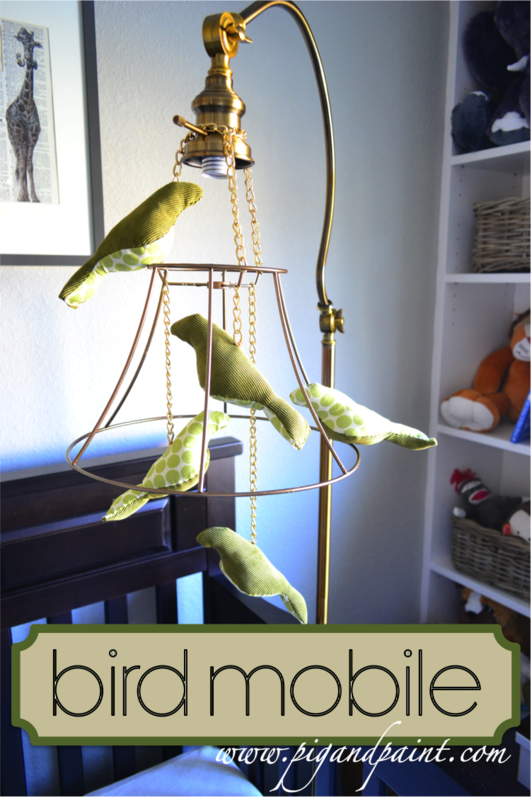 I used leftover fabric from other elements in the nursery to create my little birdies. 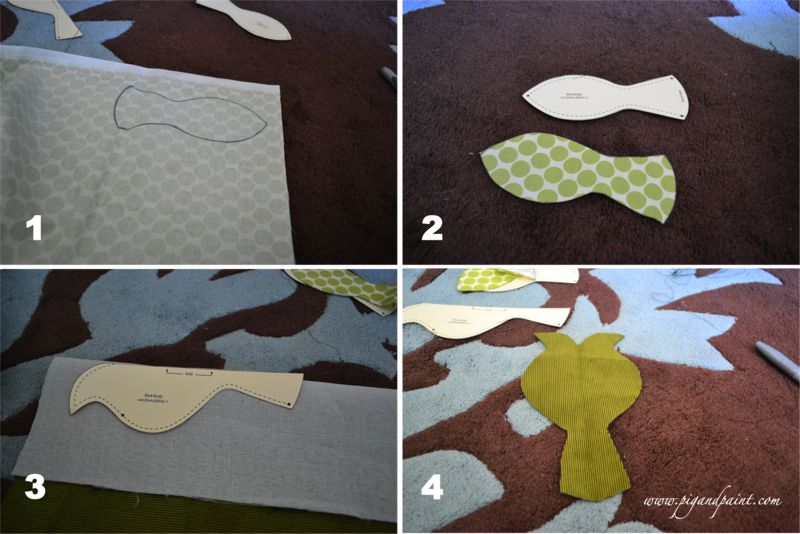 I started by tracing the patterns over my fabric and cutting out the pieces. 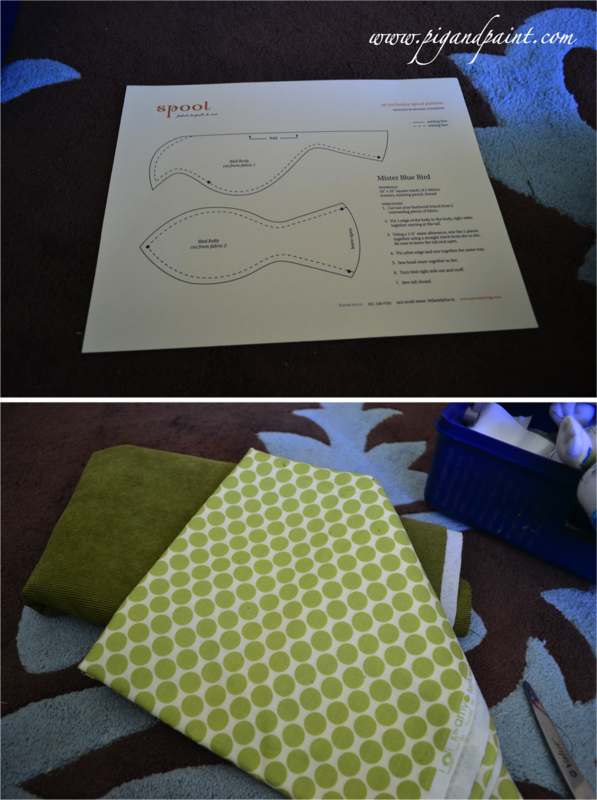 I pinned the edges together, connecting the guide dots as described in the instructions that came with the pattern. I hand stitched the pieces together, leaving the tail open. 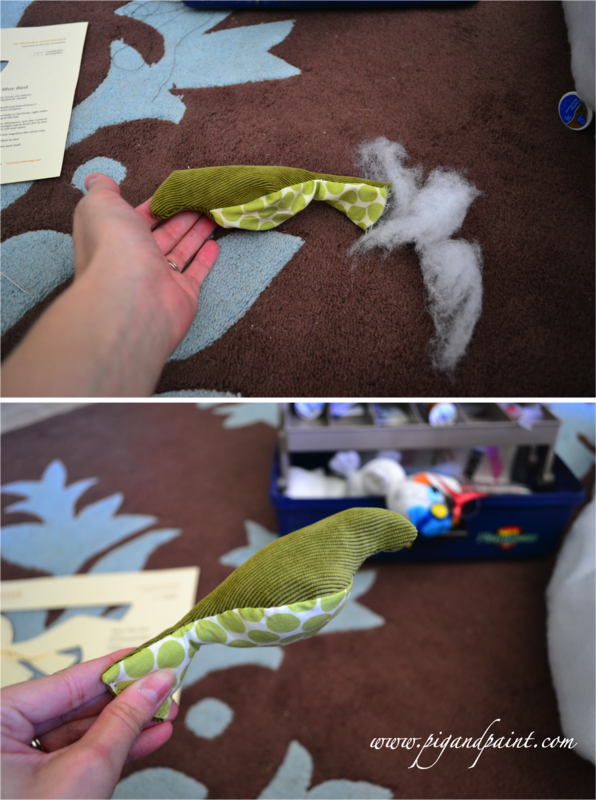 Next, I stuffed each bird with stuffing until they were nice and plump. Wash, rinse, repeat.... until I had five birds. 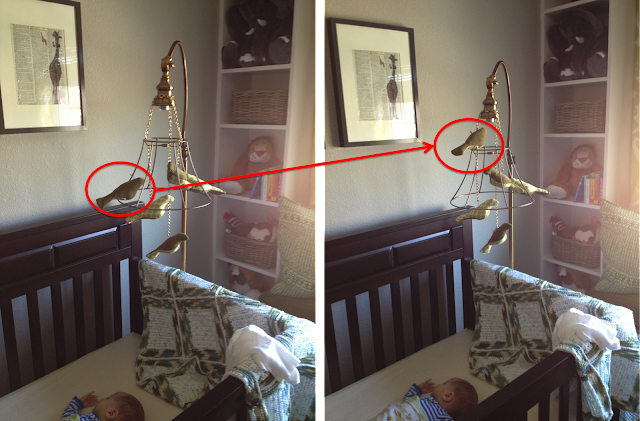 Then, I had to figure out how to hang them. 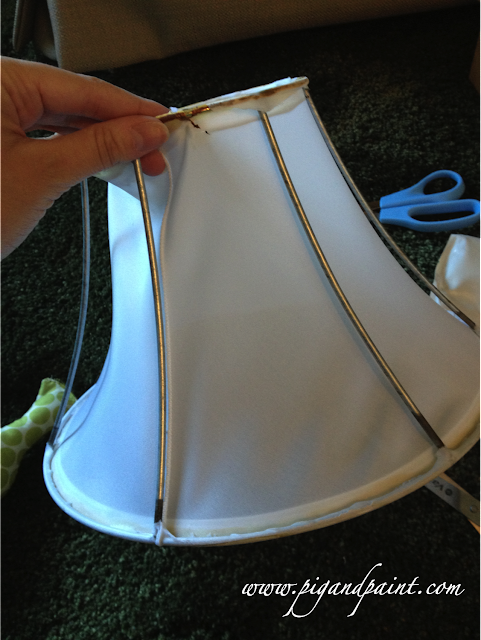 I found a small lamp shade in my craft room, and then the wheels started turning...I striped the lampshade of it's, uh, shade. 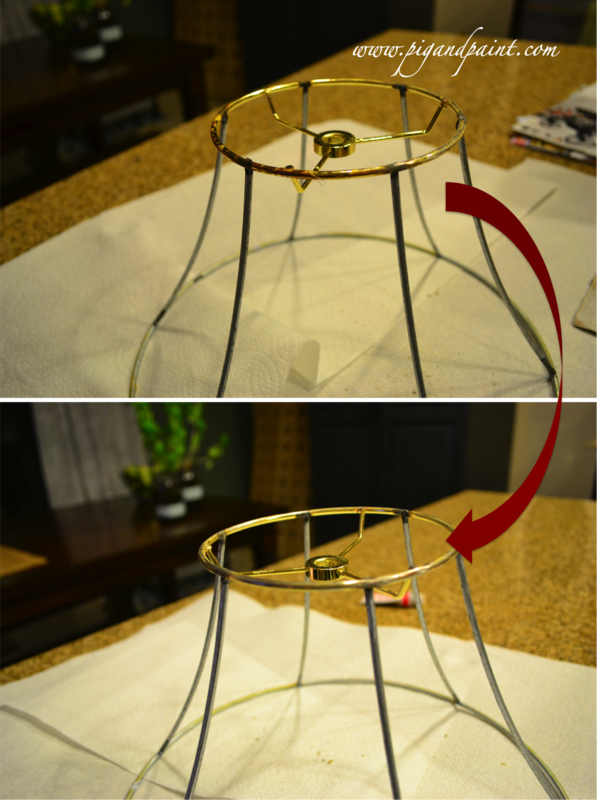 I picked all of the glue residue off of the shade....it was tedious, but worth the effort. 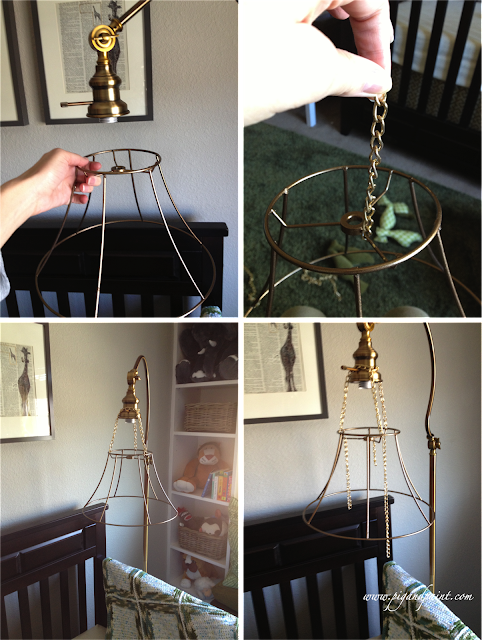 I gave it a coat of copper spray paint, and got to work securing the lampshade frame to the lamp. 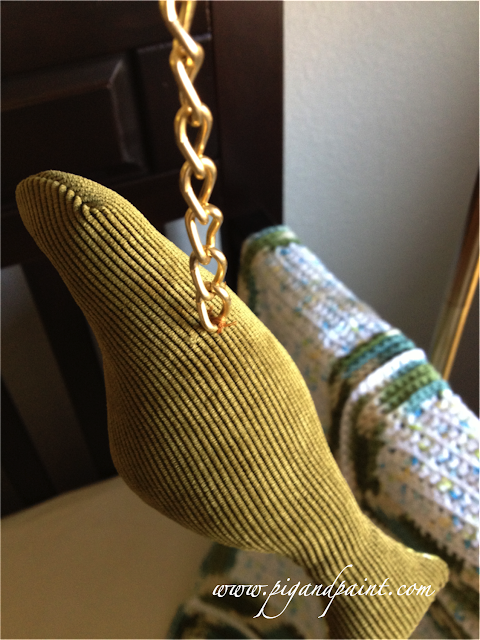 I had leftover gold chain from another project that I used to affix the shade. I used safety pins to get my birdies into place and determine their final arrangement. I ended up moving only one bird. Last step was to sew the birds into place. Tada!! I am soooo proud of this piece....I feel like it is a fair representation of things that delight me (birds and crafts), and also reminds me of a very special bird who was a part of my life for 7 years. I still need to figure out what to do with the light bulb socket. The lamp isn't plugged in, so it's not really a hazard at this point, but I do want to get it covered up to remove the temptation.